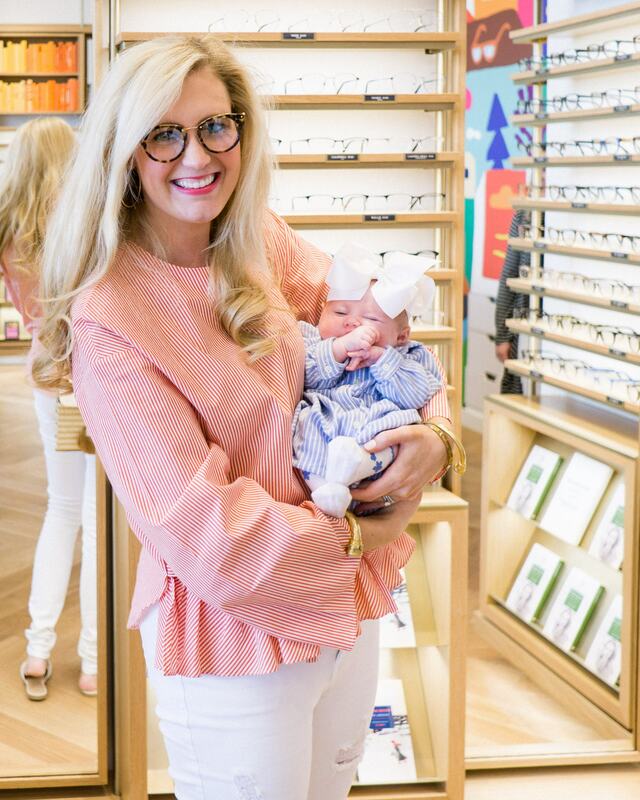 Welcome to Oklahoma City Warby Parker! 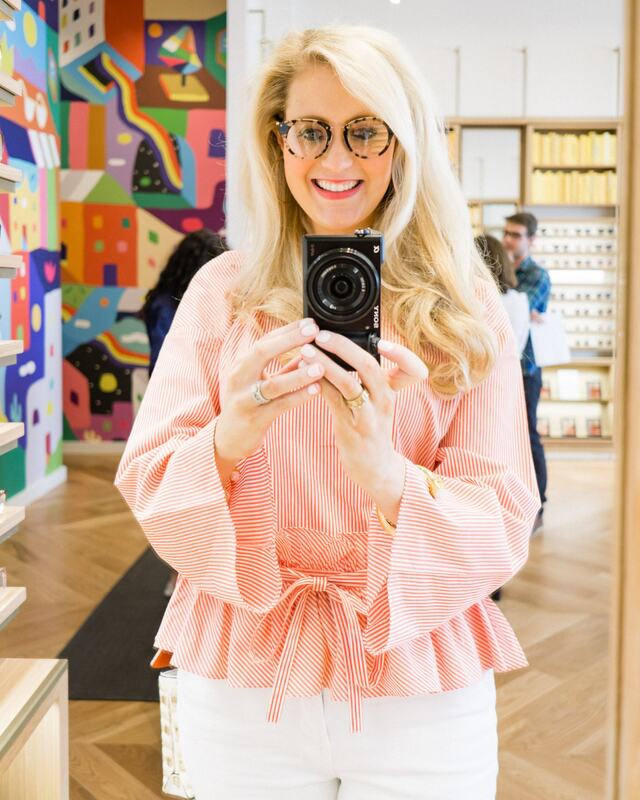 If you have never heard of Warby Parker, you are missing out! 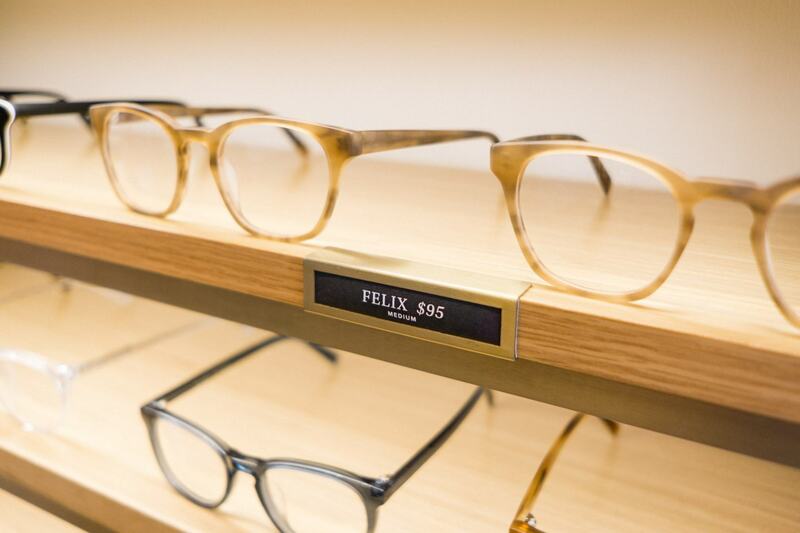 This company started with the solution to a simple problem: glasses are too expensive. 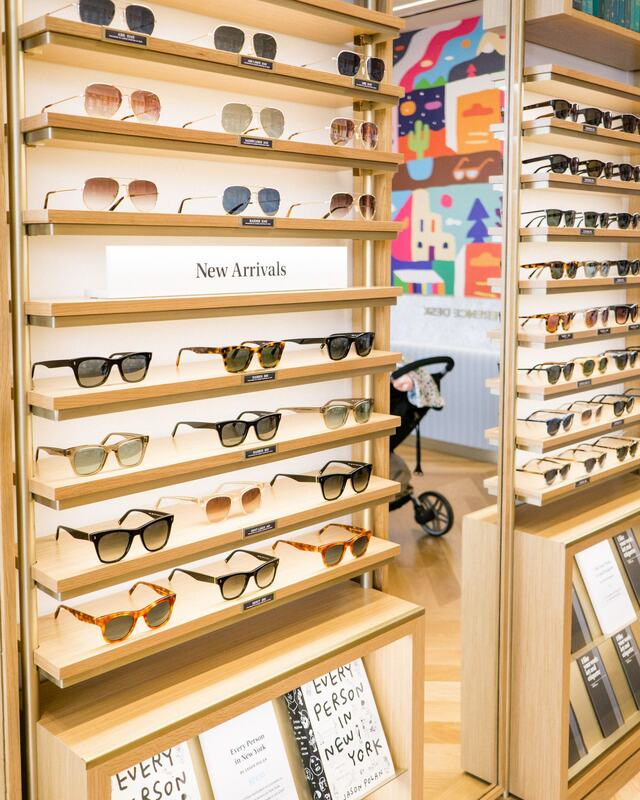 Warby Parker provides both glasses and sunglasses at the fraction of the price of normal retailers. 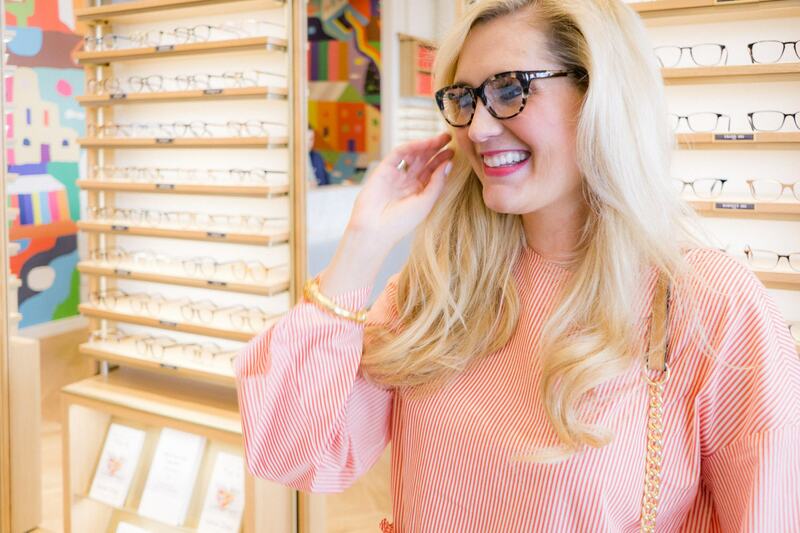 They believe buying glasses should be easy and fun, and not leave your wallet hurting! 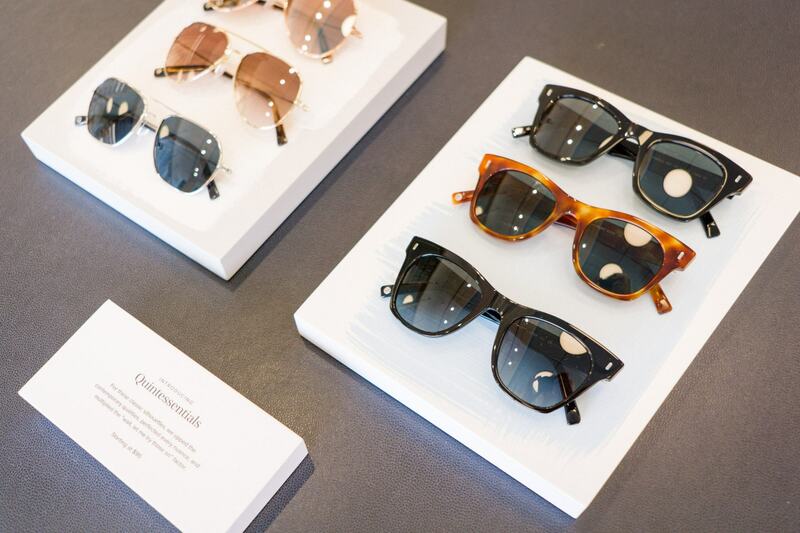 In addition, for every pair bought, the company donates a pair of glasses to someone in need. 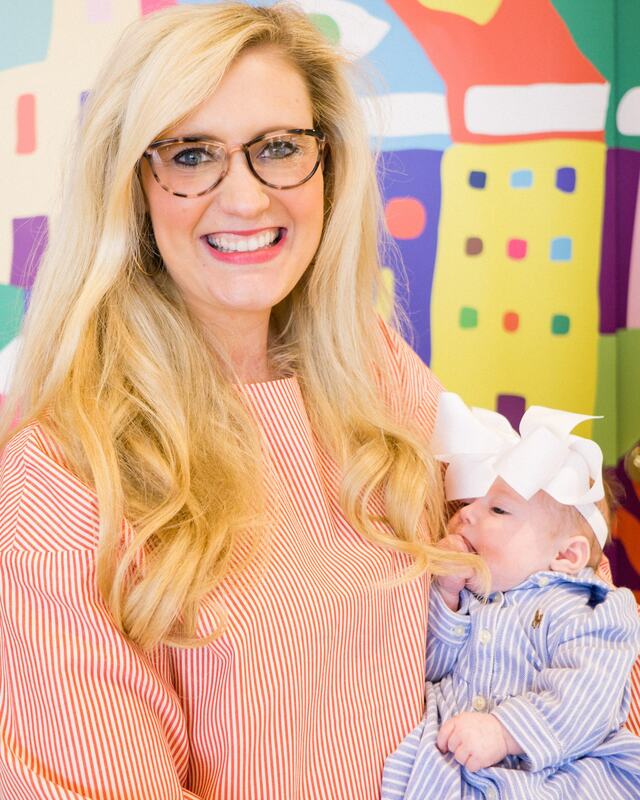 They have reached over 50 countries worldwide with this give back program! 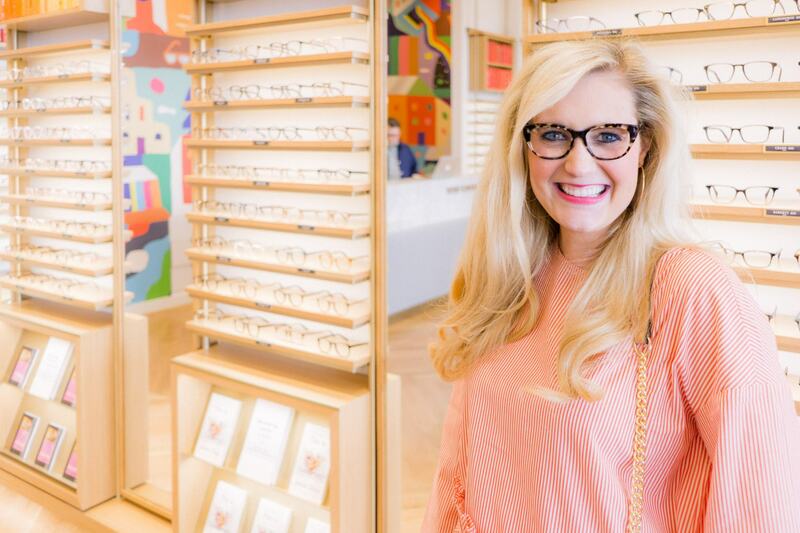 Yesterday, I had the opportunity to tour the new store in Oklahoma City, and pick out a new pair of frames! 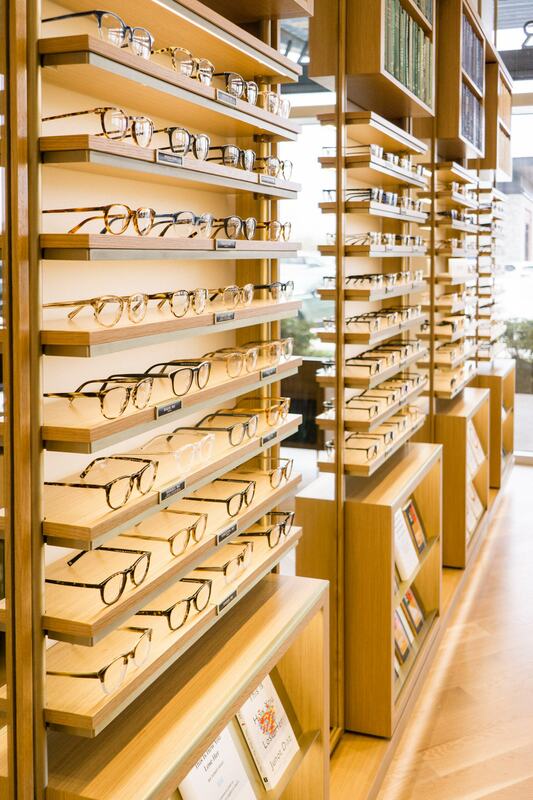 There were SO many choices and the majority of frames are around $100. 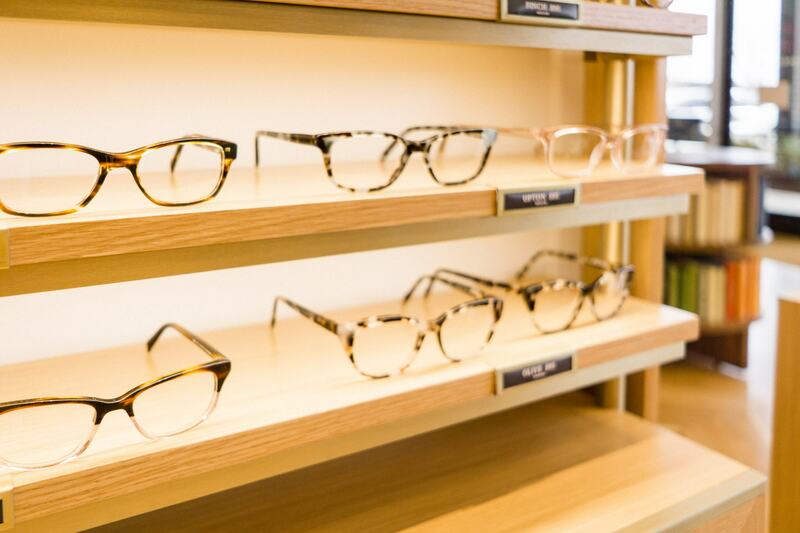 All you need is to bring your glasses prescription with you, and they can help you with the rest. 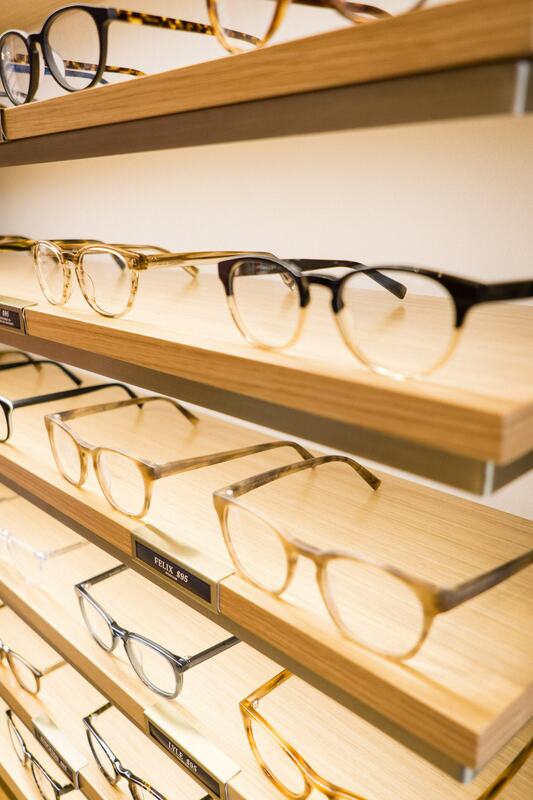 Once your glasses come in, you can come back to the store and they will help you properly fit your new frames. 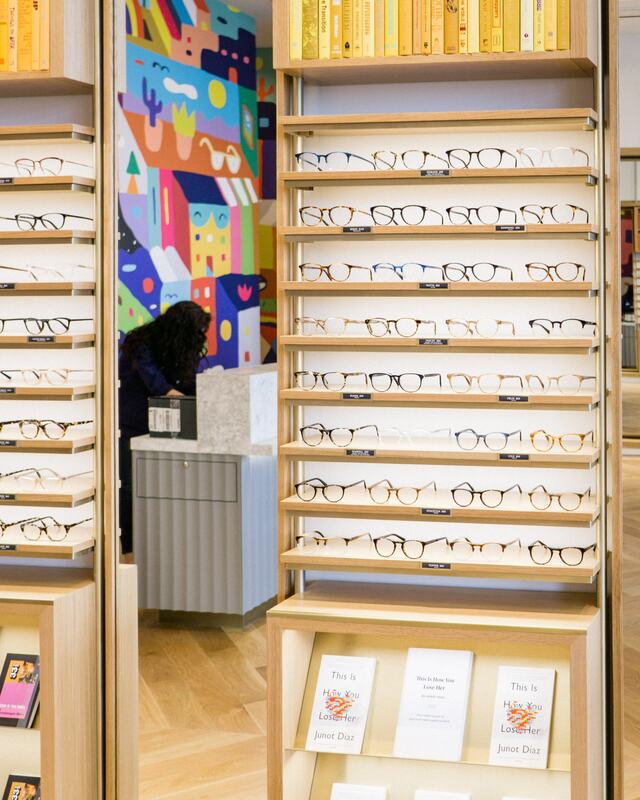 Warby Parker currently offers both mens and womens frames in a variety of styles. 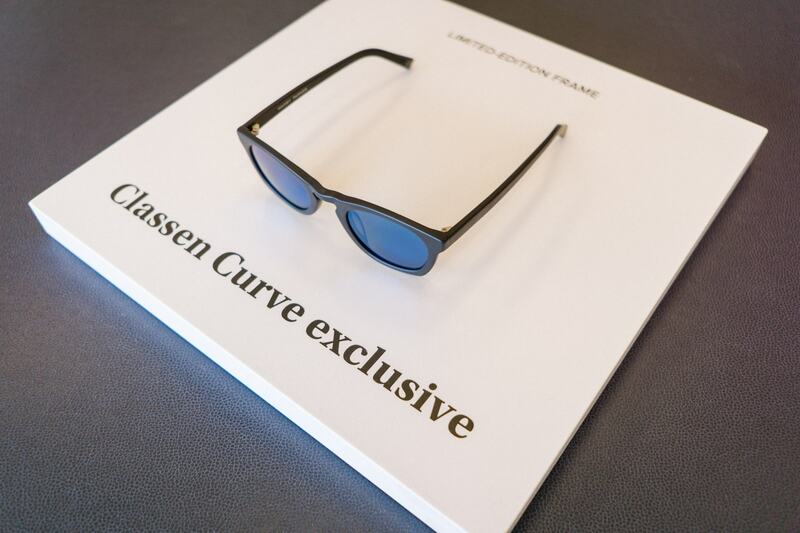 I’ve linked some of the frames above that I tried on! 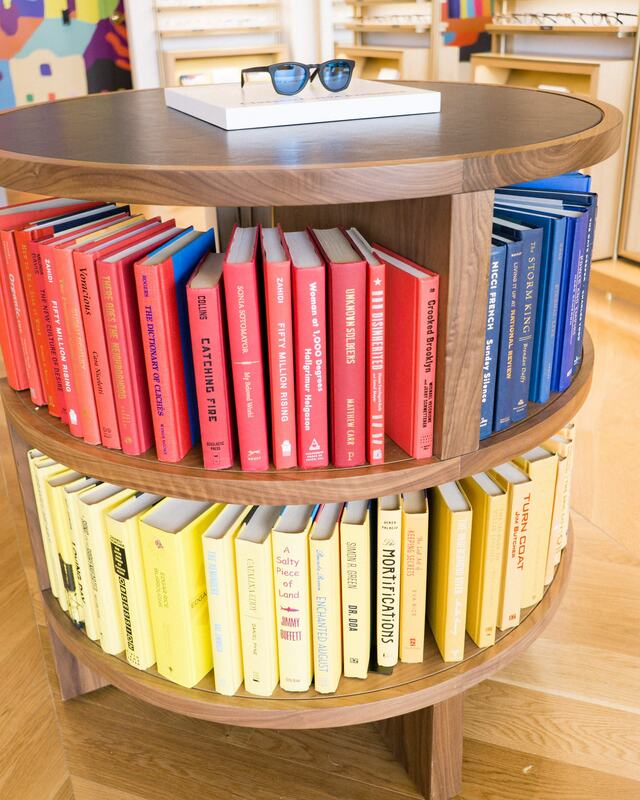 It was such a fun experience and the store is absolutely beautiful! It is located in Classen Curve (I’ve listed the address below), and the grand opening is Saturday, March 24th! 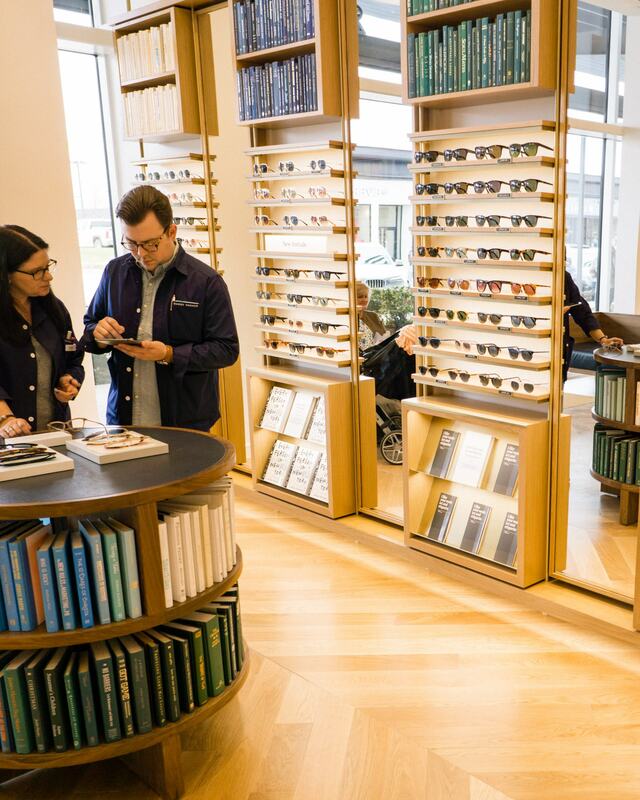 Hope you all stop by and check out the new store!